>What are Debt Management & Debt Reduction Plans? >Can Student Loans Be Paid Off Through Debt Consolidation? >How Much Debt Is Too Much? >What is a Credit Score? “How do I pay off debt fast?” This is one of the most common questions we get from clients. The answer? You probably can’t. Debt takes a while to get rid of, and that is OK. Through responsible management and a conscious effort it can be eliminated but it can take months if not years to do so. If your debt is quite substantial it may take up to 5 years to eliminate. If you are looking at a more modest debt load however there are several little strategies you can try to reduce spending and maximize the amount of money you can use to pay down your debt. 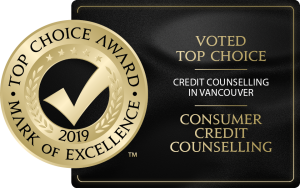 Talk to one of Consumer Credit Counselling’s debt experts to learn more information. How to pay off debt fast? How to pay off a credit card? How to pay off debt in Canada? How to pay off debt fast with low income? How to pay off multiple credit cards? How to pay off your student loans faster? By creating a realistic budget you are more aware of where your money goes each month. You can see how much you spend on groceries, eating out, entertainment, transportation and how much you can allocate to your debt. By identifying areas where you are overspending, trying to reduce these purchases and adding that to your debt payments you can decrease debt faster than you normally would. Focus on the most expensive debt. This will cost the most long term as it will incur the largest interest charges. By paying down the highest interest debt first you can potentially save $100’s over the lifetime of the debt. Paying the minimum amount will generally just barely cover the cost of interest. This means the principal amount of the debt is actually getting reduced a small amount. This causes the debt to stick around much longer and can cost $1,000’s in interest. By paying more than the minimum any additional funds are applied directly to the principal helping to pay it off faster and therefore saving in interest. This could be the single most important aspect. If you are trying to pay of your credit card debt you need to stop spending on your credit cards. If you continue spending on your cards it will become an ever moving finish line. Stop using your credit cards immediately and only spend using cash or your debit card. This will help you evaluate if your really can afford the purchase and if it is necessary. There are loads of miscellaneous items sitting around your home or apartment that you never use. Why not sell them? Resources like Varage Sale, Kijiji, and Craigslist are fantastic resources to sell unwanted household items and bring in a few extra dollars. Try making lunch instead of buying it everyday, make coffee at home before you leave for work, or any number of other cost saving solutions. Saving a few dollars every day can add up by the end of the month. By bringing lunch and not buying a $3 coffee every day you can save up to $250 a month! Little adjustments can go a long way. This extra money can then be used to pay down some of your outstanding debt. Look, we are all human. We all make mistakes and mess up from time to time. Don’t beat yourself up about it. Just make sure that spending or splurging on something you don’t need doesn’t become a constant thing. Once and a while is fine, so relax and enjoy your life. Being in debt doesn’t need to ruin your life, it should be handled responsibly, however, should not control your entire life. Also see our list of the top ways for Canadians to get out of debt. If you are in debt and want to get out of debt quickly let us help you. Our professional debt counsellors can help put you on the right path to financial freedom. If you have more questions about your debt you can also check out our Questions page where we have answered many common questions about debt and your everyday life.